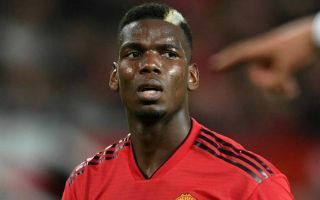 Juventus director Pavel Nedved has dropped a pretty big hint his club would be ready to seal the transfer of Manchester United midfielder Paul Pogba and bring him back to the club in January. Pogba’s future has been the subject of much speculation of late, with Tuttosport recently linking him as a target for his former employers Juventus. While Nedved has to some extent tried to distance his club from such rumours, he’s admitted the France international’s return would be a good thing for the club, and says his side are on alert for potential winter deals. ‘I think Pogba is one of the best players in the world, so it would be wonderful [if he came back], but he is at Manchester [United] and therefore talking about it is futile,’ Nedved told Sky Italia, as translated by Inside Futbol. Paul Pogba to return to Juventus? United fans will likely feel quite split on Pogba at the moment, with the 25-year-old showing some signs of returning to form in recent games, even if he’s still far from at his best. The Red Devils ace has shown glimpses of huge talent in his career so far, including for World Cup winners France this summer. For United, however, he’s rarely been good enough, especially when taking into account the money and hype surrounding his move to Old Trafford in 2016.